“Being a butcher is being a craftsman. Dierendonck, combines the professional skill of today with the quality of the past,” Hendrik Dierendonck says. 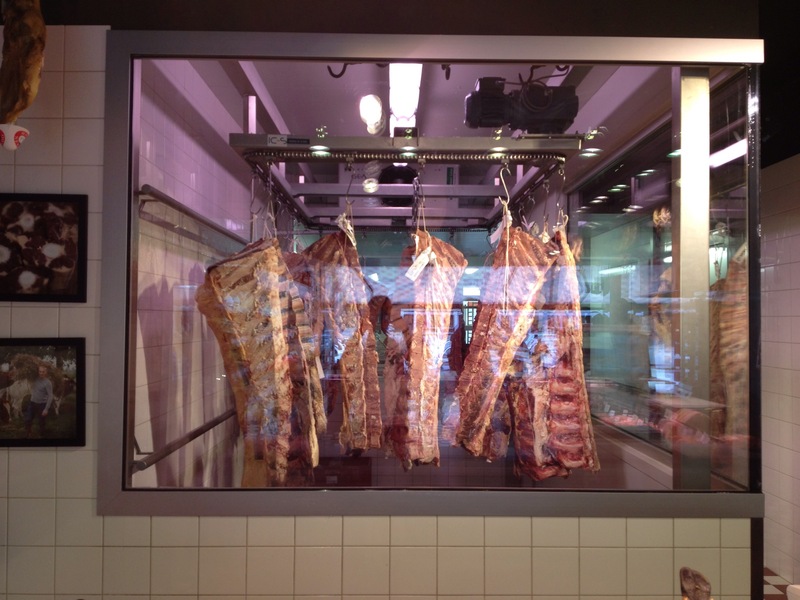 A visit to his Atelier in Nieuwpoort yesterday confirmed all the good things that we have been hearing about this butcher shop. No wonder it is considered to be one of the best butchers in Belgium. A look at his website, however, would instantly confirm that Dierendonck is a must visit for any foodie who finds himself at the Belgian coast. His produce is used by some of the top chefs in Belgium and the Netherlands (Sergio Herman of Oud Sluis fame, David Martin of Restaurant La Paix , Jan Wittevrongel of Ten Bogaerde, Kobe Desramaultsoud of In de Wulf to mention just a few). This should be enough to tickle your taste buds and visit. The choice of meat at the Atelier was exceptional. We opted for a ‘contra filet’ from West Flanders. The meat was exceptional in flavour though slightly chewy. It did not have the marbling of the Angus Beef or Simmenthal but still it was sumptuous. Dierendonck raises the Belgian Red breed in their own farm. This is an extremely rare breed of cattle and a recognised regional product of West Flanders. The cattle has the capacity to produce quality meat from a grass diet. The permanent pastures located in the Ijzervallej and the polders are suitable for these animals. Dierendonck considers that these pastures called “fat pastures” give the Belgian Red its distinct flavour. 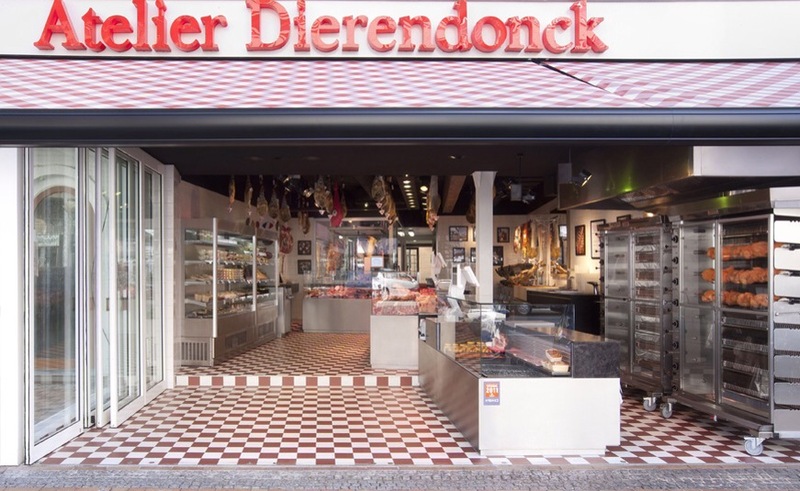 The butcher has a shop in the heart of a culinary hamlet of Sint Idesbald from where the father of Hendrik started 39 years ago. The meat is aged which is always the sign of a great butcher shop. We know that we will be returning soon, particularly since Dierendonck is opening a third outlet called Carcass, Back to the Roots which aims to allow clients to experience the work of a butcher through workshops and demonstrations. Hendrik and his wife Evelyne want to return back to the old roots. In fact, like the best butchers, they pride themselves of following the philosophy that all elements should be used in butchering so that nothing is wasted. In this day and age, this is a principle worth adhering to. 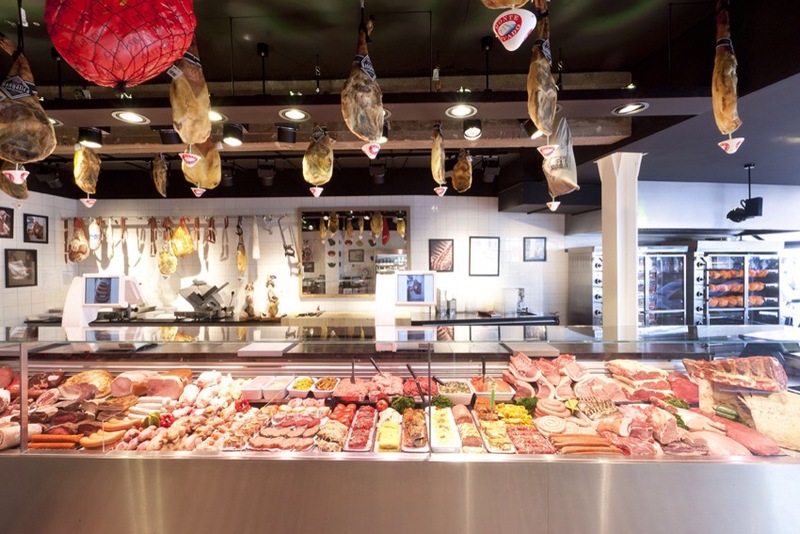 Butchers shop: Standlaan 331, 8670 Sint Idesbald – open from 8.30 to 18:30. Wednesdays and Thursdays closed. Open at 8am on weekends and school holidays. Atelier: Albert I Laan 106, Nieuwpoort. Open from 8.30 to 18:30. Tuesdays and Wednesdays closed.